My first exhibitor room visit was floor 8 at Florida Audio Expo 2019 where Christopher Trojnar of Harman was showcasing their highly anticipated JBL L100 Classic speakers ($4000 per pair) being driven by Mark Levinson No 5805 ($8500) integrated amplifier, No 519 Media Player ($20,000) and No 515 turntable ($12,500). Cables and power filtering duties were from Transparent Audio and was their Reference series. The system was setup on the short wall, which seems to be the best choice after visiting many rooms during this event. Must say this was quite a beautiful way to start the day off as the sound was spectacular! Setup on the short wall, the 3D sound enveloped completely, with not a trace of harshness or any frequency spectrum poking it's proverbial head out too much. 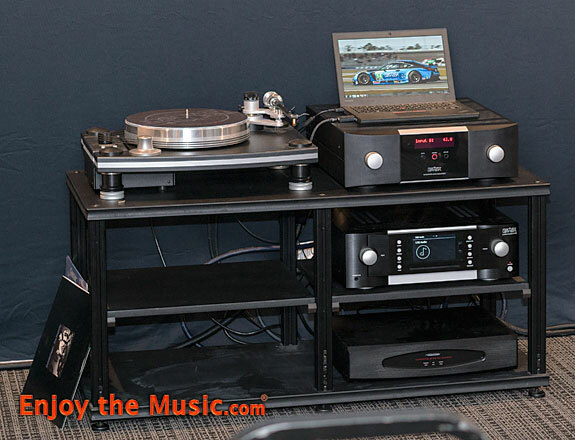 Of course with front-end gear by Mark Levinson, you'd expect nothing less. 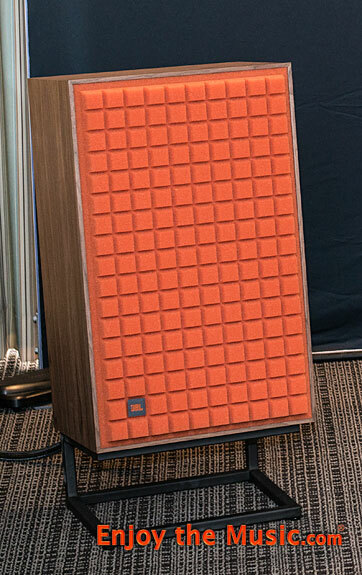 Of course the new (reissue) JBL L100 speakers are far, far better than i had hoped. Having heard the originals over the years, was not sure if maybe a tiny bit of midrange bump or ??? would be there. 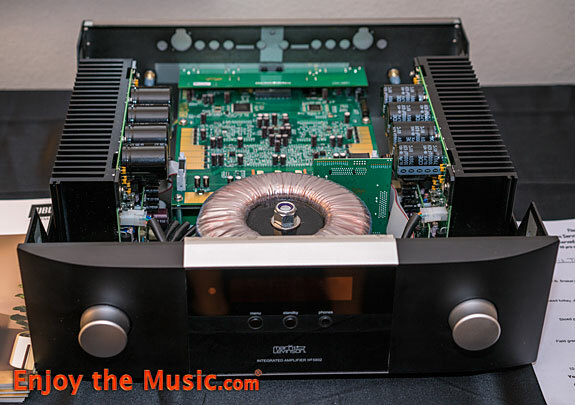 Mark Levinson No 5805 ($7000) integrated amplifier was on static display. The sound was easily a match for what one may hear within a mastering studio. Clean, accurate, dynamic, and each instrument firmly planted within its own acoustic space within the 'cloth' of the overall music. Bass was tight and tuneful, and went quite deep too! The highs, oh my, glorious. As for midrange, perfect! 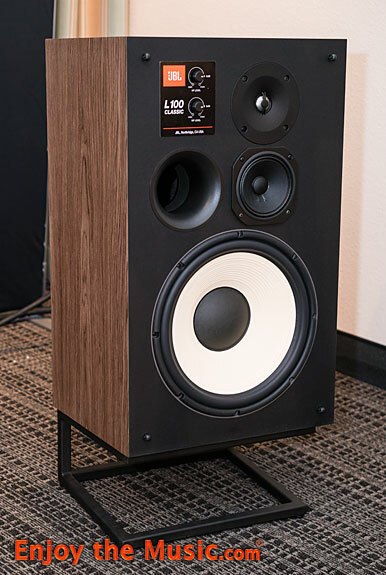 Yeah yeah, audiophiles are supposed to be highly critical, yet if you get the opportunity to hear these speakers within a proper system, such as that Harman had at Florida Audio Expo 2019, am sure you'll come away very pleased. My God JBL did it! A reissue that, imho, surpasses the original yet keeps the soul and intention of the original. i even love the retro orange grill cover! 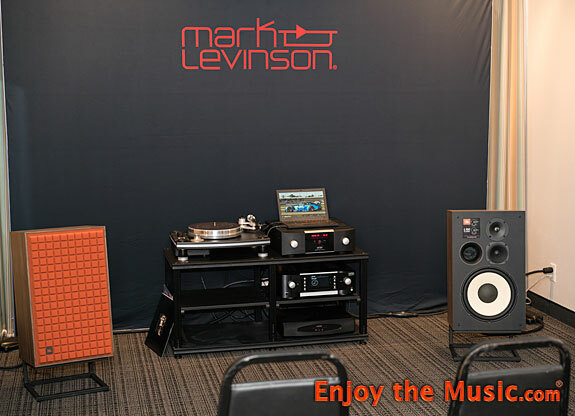 Bravo to everyone at Harman's JBL and Mark Levinson!